I am a designer/illustrator, creating unique illustrations inspired by the natural world and family events with a mid-century modern feel. Starting with sketched out ideas and photographs I produce a vector image which can then be adapted and applied to a wide range of mediums to create every day products including lampshades and cushions, screen prints, silk scarves, greetings cards, gifts, lasercut festive wreaths and delicate papercuts. I started up my business in 2015, and I now sell my illustrated products to gift shops and galleries, as well as online at Etsy.com. 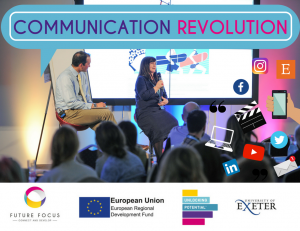 After returning to Cornwall from living and working in London, I retrained as a web and graphic designer in 2000 to pursue my interest in the emerging creative technologies. I have created work for many clients including corporate and smaller businesses. You can view a portfolio of this work here. In 2007 as a hobby I began creating fabric collage pictures, initially by hand cutting individual tiny bits of vintage fabric and in 2011 I made my first pictures from laser cut fabrics. In 2014 a screen printing workshop was the impetus for a new direction I began selling prints at design fairs around Cornwall. The response I received encouraged me to develop my ideas further. In 2016 I co-founded the local Etsy team Etsy Makers Cornwall, organising the first ever Etsy Made Local Fair in Cornwall, which took place at the Guildhall St Ives. At Christmas 2017 we hosted our second event, with almost 4,000 visitors attending. 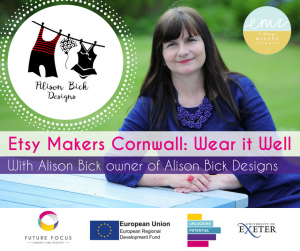 I organise meet ups with Etsy sellers and other creative businesses in Cornwall. Get in touch or join our Facebook Group Etsy Makers Cornwall if you would like to find out more about these events. I have recently featured in a marketing campaign by Outset Cornwall, called Choose Outset. 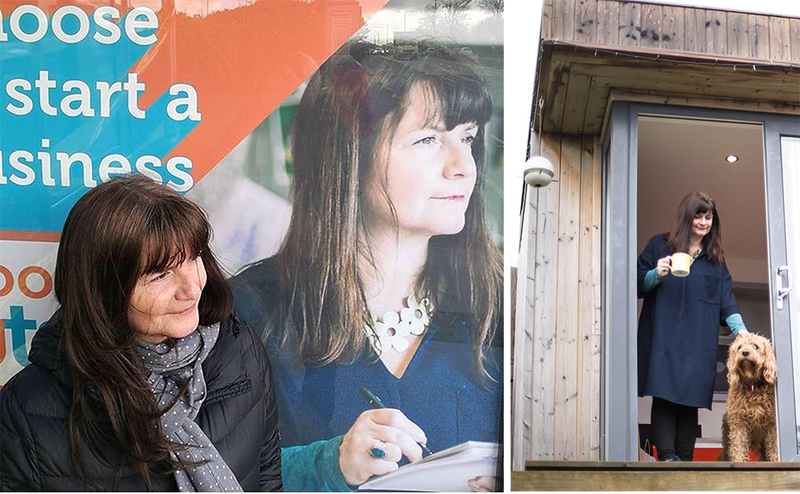 I was invited to speak on Radio Cornwall about the experience of starting up my own business, with photos in bus stop adverts, ad vans travelling around Cornwall and in cinema advertising. 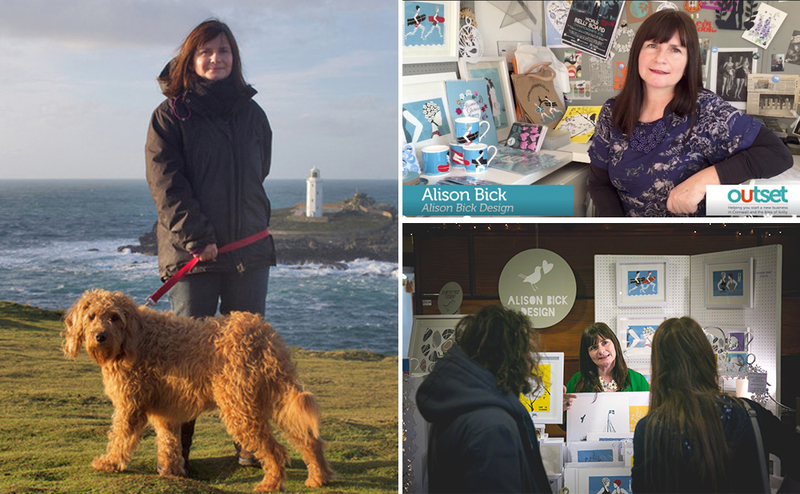 In 2018 I have been invited to speak at various events, talking about my experiences of setting up an Etsy team, organising meet ups with creative businesses in Cornwall, and selling on Etsy. If you would like to find out more about my public speaking work, and would like me to give a presentation to your organisation, please contact me for information about my fees. I also work to commission, so if you have a illustration project you would like to see come to life, please don’t hesitate to contact me for a quote and discussion. All my work is copyrighted to me, Alison Bick. All Rights Reserved. Please do not create derived works from my original copyrighted work. 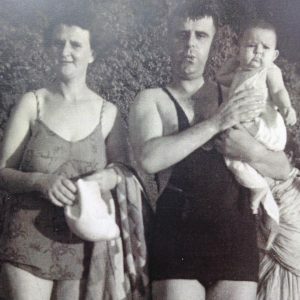 My grandparents Arthur Roy Tamblyn and Olive Augusta (née Wescott) grew up in Perranporth, Cornwall, and along with their cousins and siblings were there at the start of British surfing. Tom Tremewan* first began making wooden boards after the First World War, following requests from men returning from South Africa. I’ve written a blog post about the inspiration behind my Vintage Surf range. My Great Uncle Arthur Westcott** was still surfing when he was well into his 70s. When staying with my granny in Perranporth as a child, I recall seeing him strolling down to the beach with his wooden board under his arm. In the 1950s he made his own Malibu board out of oak. It was so heavy that he also built a trolley to transport it down to the beach. To stop himself from falling off the board he glued sand onto the top. Apparently he had a lot of scratches. Family photos, along with visiting the World Belly Boarding Championships in Chapel Porth have inspired me to create the Vintage Surf series showing men and women on the beach with their wooden belly boards, knitted costumes and flowery swim hats. Designed to evoke a day at the Great British seaside. *Tom Tremewan was married to my grandfather’s sister Winnie. He was a builder and undertaker in Perranporth, and in his autobiography “A Builder’s Life in Perranporth” he mentions first making the boards which then became a commercial venture. **Arthur Wescott ran Westcott’s Electrical and Hardware shop in Perranporth. Working in my garden studio, I create my illustrations after drawing inspiration from Cornish Nature. Beach combing with my Labradoodle Rufus, searching the strandline for interesting shells, pebbles and seaweeds. Also family fishing trips, visiting botanical gardens and foraging for elderflowers, nuts and sloes along Cornwall’s unique hedgerows have proved to be a fantastic inspiration for my work.